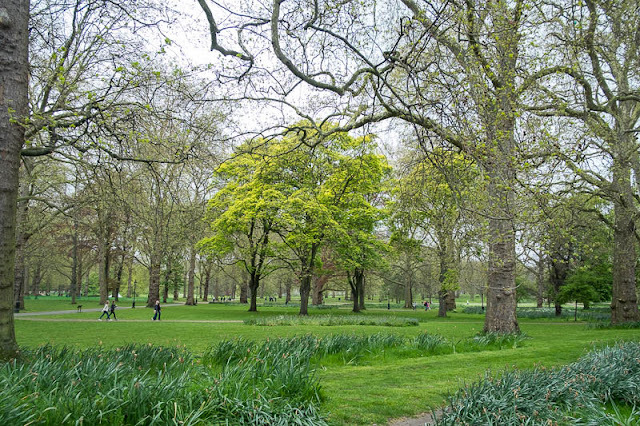 London's parks are looking very lush at the moment. O yes very green! Lovely. That looks so pretty. What a great place for a springtime stroll. Fresh and green, I see! It is all that rain, sweetheart.